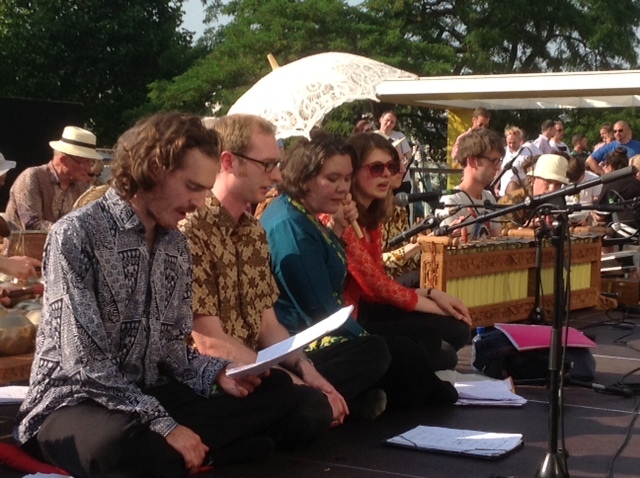 OGS performed in London on Saturday 6th July 2013, as part of a gamelanathon celebrating 25 years of gamelan at the Southbank. 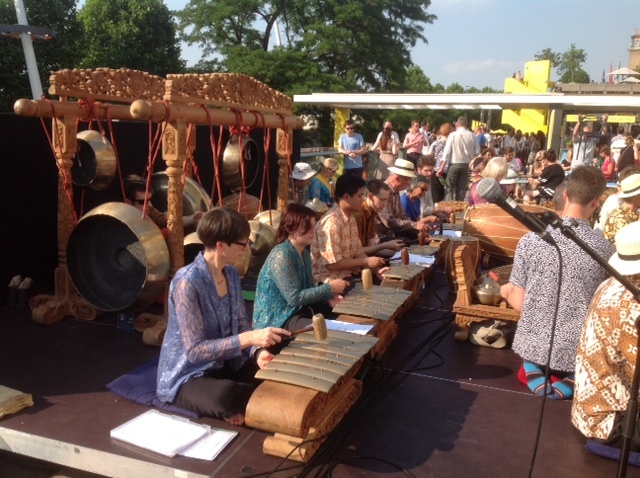 We played on the Riverside Terrace in bright sunshine, on one of the hottest days of the year, playing ladrang Wilujeng, ladrang Peksi Kuwung, ketawang Kasatriyan – lancaran Kedhu – ladrang Pakumpulan, Wit Ing Klapa, E E E Mbok Yo Mesem, Slendhang Biru, Sontoloyo, gendhing Kutut Manggung and ladrang Mugirahayu – Samiran – Pamungkas. There is a YouTube video (in five parts). This entry was posted in concerts, travel and tagged London. Bookmark the permalink.